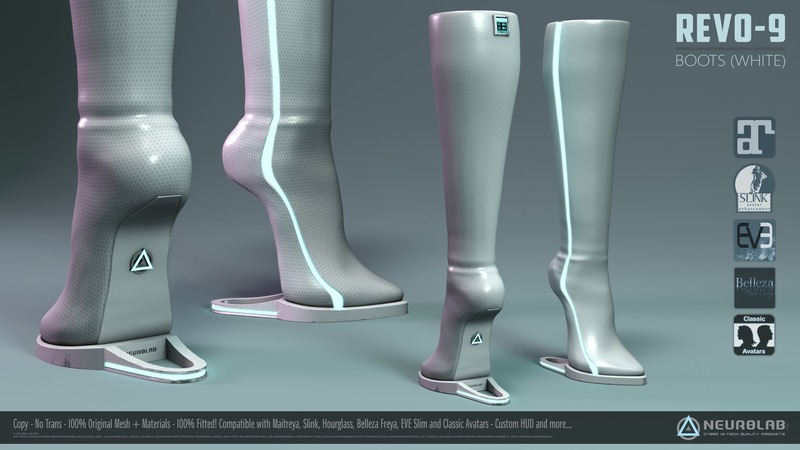 Neurolab presents to you the Revo-9 Boots! – Includes SMART HUD for complete customization! – Create an infinite number of unique lights color combinations to match your style. • 12 animated textures choices for lights parts with Amazing effects! • Exclusives Sounds for walk, start Fly, Fly and Stop Fly. • DELETE SCRIPTS (All scripts can be removed). – [Delete Script] : Deletes the script in product. 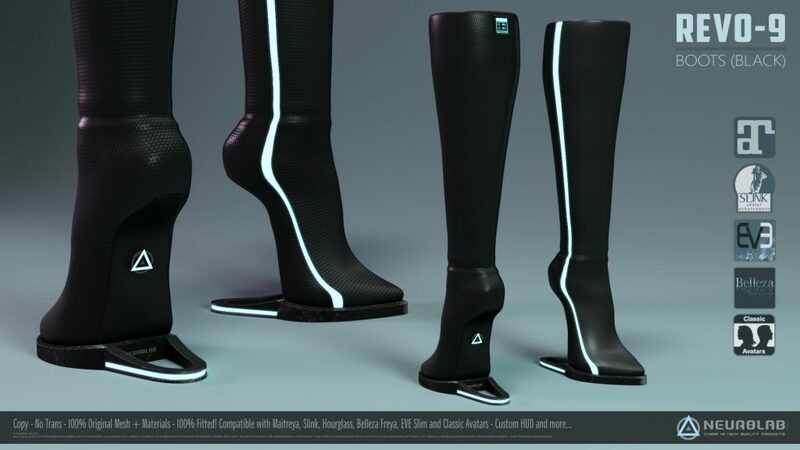 – Wear the Smart HUD, touch top Right Boot… Click to “HUD CUSTOM” button on the menu to connect product and customize..